Courtesy of Coldwell Banker Blackstone RE, JUAN RODRIGUEZ. Beautiful single story home located in a cul-de-sac in the highly desirable are of La Sierra Hills neighborhood. This former model home features 4 bedrooms, 3.5 baths with 3,575 sq ft of living space on a 17,424 square foot lot. Come see this home which has plenty of upgrades including Travertine & wood flooring, large kitchen with Granite counter tops which opens to large family room that includes a fireplace & built in entertainment center. The master bedroom has plenty of natural light with a walk in closet and spacious master bathroom. Outside you will find a covered patio that will keep you cool in the summer and were you can sit and enjoy the sounds of the water fountain. Come and see this beautiful home, you won’t be disappointed. 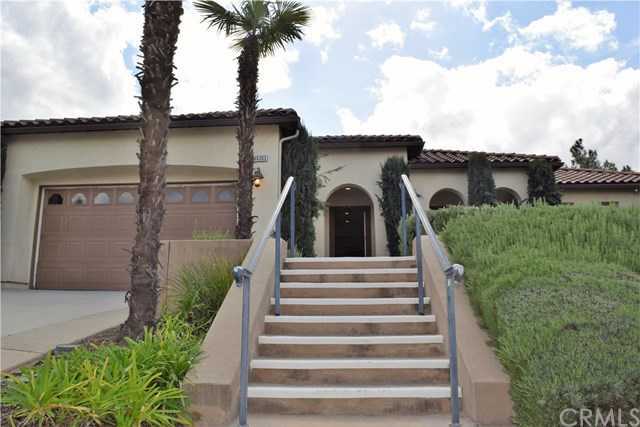 Please, send me more information on this property: MLS# IV19031350 – $700,000 – 16303 Yarmouth Circle, Riverside, CA 92503. I would like to schedule a private showing for this property: MLS# IV19031350 – $700,000 – 16303 Yarmouth Circle, Riverside, CA 92503.